If you are suffering from asthma or dust mite allergies, the first line of defense is regular washing but that is not enough. To instantly start experiencing big improvements in your allergies you need to get specially designed and Certified by Allergists hypoallergenic bedding. What Is The Difference Between Non-Allergenic and Hypoallergenic? 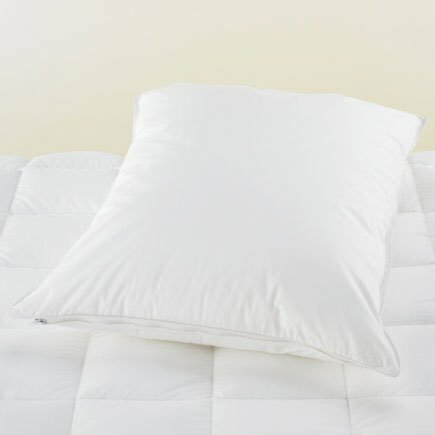 One can buy both pillows and duvets that are anti-allergy in two different ways. 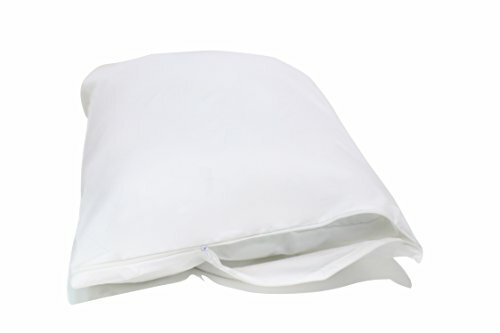 Some pillows and duvets have an active ingredient that can denature dust mites, or you can buy them with an impenetrable cover to make sure dust mites cannot make it through altogether. Not one option is worse than the other. They are both great options and work great for keeping the growth of dust mites on pillows and duvets. I would advise you to get a dust mite proof cover if you can’t afford pillows and duvets with active ingredients to denature dust mites. Anti-allergy mattress protectors or mattress encasements are the best way to protect yourself from allergens and dust mites. They will fully encase your mattress, stopping dust mites and allergens from exiting or entering any part of your mattress. 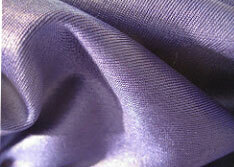 Bed sheets for allergy sufferers can be purchased with an anti-allergy protection as well. These sheets will contain an ingredient that will turn dust mites away or they will be made from a naturally repellent material to dust mites, such as silk. Choose sheets that can regularly be washed at 60 degrees Celsius – the temperature that kills dust mites. You may also use a laundry additive to remove allergens at lower temperatures. 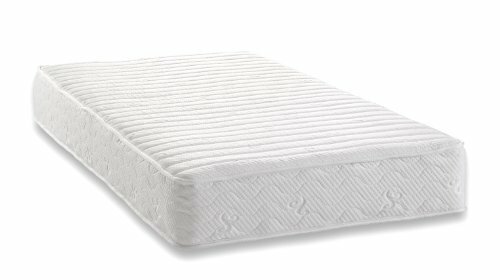 If you are looking for a brand new mattress, look for a hypo-allergenic mattress. 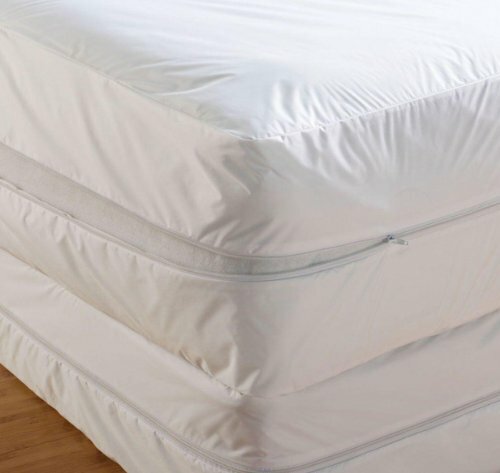 These mattresses are treated the same way as anti-allergy bedding and will have been treated with an agent to keep mites far away from your mattress. Below is a guide on how to choose the best hypoallergenic bedding. Here are the most technical terms you will encounter when purchasing anti allergy bedding. Non-allergenic means that an object or item shouldn’t cause any type of adverse or allergic reaction, but triggers can always be present.In other words, it means having no tendency to provoke an allergic reaction. Hypoallergenic means there is a more decreased chance of an allergic or negative reaction.In other words, it means having a decreased tendency to provoke an allergic reaction. Anti-allergen bedding means this bedding has an active ingredient to turn away the dust mites or sometimes having special material to not allow the allergens nor the dust mites to go through. There is no guarantee that a product will be 100% anti-allergy despite many claims by manufacturers.You should take their claims with a grain of salt. However, You can consider other criteria which will be discussed in the coming paragraphs to judge the effectiveness of the bedding in preventing asthma and dust mite allergies. When making your bed more allergy friendly please consider below three options.I prefer option 3,it might be expensive but I think it is the best option. Option 2 is a default option and in the coming paragraphs, I will go into details on how to choose the best allergen-proof barrier covers. Option 1: This could involve replacing your pillows, duvets, sheets, blankets,comforters, and mattress altogether. Option 2:Purchasing specialist encasements or allergen-proof barrier covers that improve anti-allergy effectiveness for the bedding you don’t want to get rid of. Option 3:Combination of option 1&2,meaning buying new pillows, duvets, sheets,blankets,comforters, and mattress and then encase them with allergen-proof barrier covers. Here are a few things to consider before you make your purchase. Allergen-proof barrier covers are an important investment and are something that you will likely live with for a while. 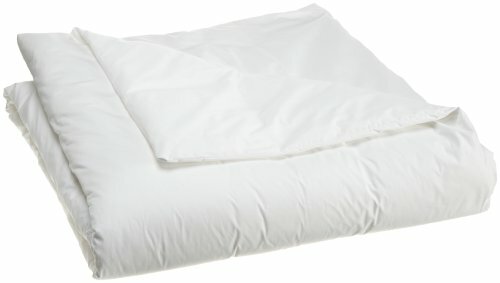 Some allergen bedding is better than others, and some may have certain strengths or weaknesses that are relevant to you. Firstly, the material that makes up your bedding is important for comfort, practicality, and durability. There are a few options that you have. Cotton can be a good choice because it tends to be very comfortable to sleep on, but it has its drawbacks. Over time, the fibers that make up your cotton bedding cover can wear out for various reasons such as excessive washing. 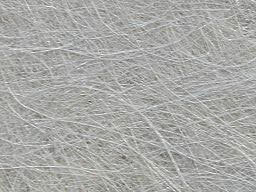 The result of this is that the gaps between the cotton fibers get bigger, and the allergens are able to pass through more easily. Also, cotton shrinks when washed, so sometimes the sizing can be a little off, but this varies from case to case. Bedding covers made of polyester don’t behave in the same way as cotton when they go through normal use. Thus, they tend to last longer. Polyester also has the added benefit of being less susceptible to mildew, doesn’t shrink after being washed, and the fibers don’t degrade as much as cotton through normal wear. If protection from allergens is your top priority, a polyester cover is most likely going to be your best bet. Lastly, covers made of Non-woven fabrics tend to be rather loud when tossing around in bed, and are of varying durability. They may be cheaper, but you usually get what you pay for, and in this case, it may just be a few uses. Some covers made of varying materials are also laminated with a synthetic material, but these also tend to have similar drawbacks such as lack of durability, bad smell, and inability to absorb moisture or allow air to pass through. The coatings or membranes are normally introduced as an extra layer on the bedding. Allergen-proof barrier covers that use these materials are generally not as comfortable to sleep on due to their inability to allow air and moisture through. They do protect against allergens by blocking the mites, but they also tend to be stiff and may have an unpleasant odor. Some other things to consider before your purchase are the quality of construction, environmental impact, and available warranty. 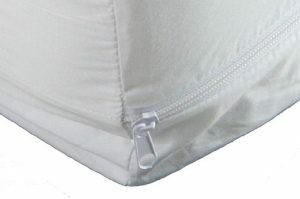 High-quality bedding covers will have covered and reinforced seams, solid stitching, and sturdy zippers. 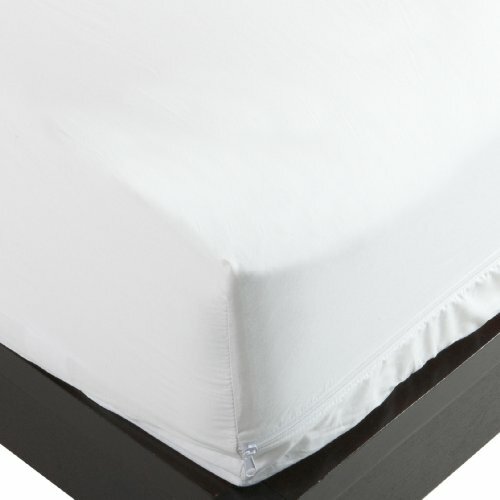 This gives you even further protection from allergens than bedding covers of lesser quality might not provide. 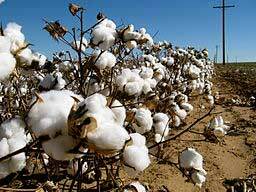 Typically, cotton bedding won’t have more than a five-year warranty due to the natural degradation of the material that occurs with normal use. Still, if the option is available, it’s important to have your covers protected by the manufacturer in case you later decide your purchase is not a good fit. Before you invest in allergy bedding, it’s important to know exactly how and why a given product is effective. One especially important factor to note is that some companies may be more rigorous in their testing than others. It’s impossible to tell the overall effectiveness of an allergy bedding just from one test, so it’s important that they evaluate the product on multiple fronts. Some criteria that bedding is evaluated by including thread count, fabric pore size, practical use simulations, air flow panel, air and moisture permeability, and comfort modeling. You will likely find these technical jargons on a product description. A high thread count may imply that the bedding is good at blocking allergens, but it is actually a better gauge of comfort than protection. The issue with using thread count as a means to gauge allergen-blocking effectiveness is that the qualities of the yarn used are more impactful than the thread count itself. During the fabric pore size test, scientists take two samples of the material, one wet and one dry. Then they blast them both with gas. The amount that gets through the wet and dry samples is measured, and the fabric pore size can be calculated from there. Dust mites themselves are around 300 microns, and their droppings can be as small as 10 microns. Generally, allergen bedding begins to be effective with a pore size of less than 10 microns. In the Use Simulation, scientists replicate the conditions of being slept on to see how effective the allergen barrier really is. They take a quantity of allergens and set up a machine that very slowly rubs them against the fabric over an 18 hour period. Afterward, the amount of allergens that leaked through are measured to see how effective the product might be during real life use. The Air Flow Panel test gauges the effectiveness of allergen-proof barrier covers in a similar way to the use Simulation. A filter is placed behind the material, and then a sample of allergens is dragged across while air is blown onto it at a steady and constant rate. Then the filter is tested to see exactly how effective the material is at blocking allergens. An Air and Moisture Permeability analysis simply gauges how the fabric breathes and doesn’t involve any allergen testing at all. 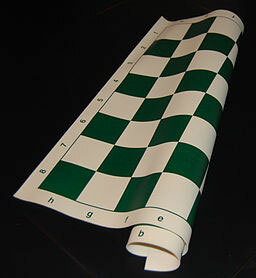 It is mostly used for the purposes of the manufacturer so they can know if a product is meeting their standards. Materials that have a high air and moisture permeability are typically more comfortable. And lastly, we have Comfort Modeling. This test expands on the air and moisture permeability test and makes an especially realistic simulation of human skin, incorporating heat and moisture levels into the testing process. Get some or all of these bedding and you will start seeing improvement instantly. I highly recommend at least you buy the pillow and mattress covers.